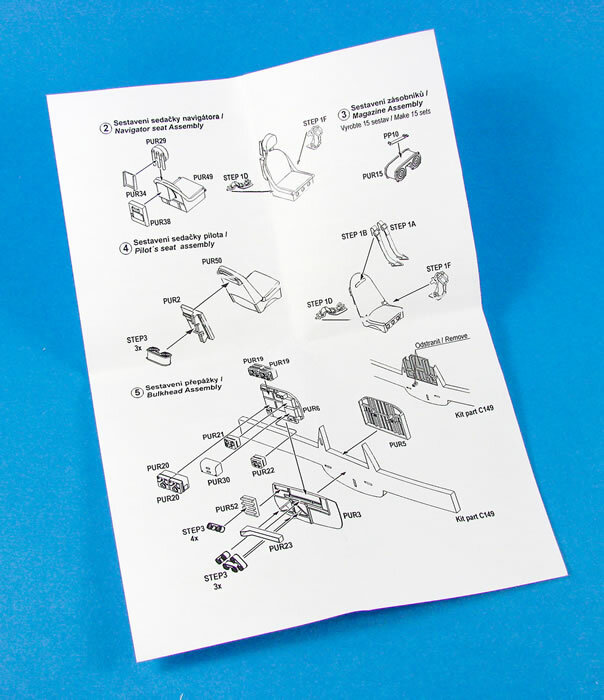 Contents and Media: 77 parts in grey coloured resin; one coloured photo-etched fret; instructions. 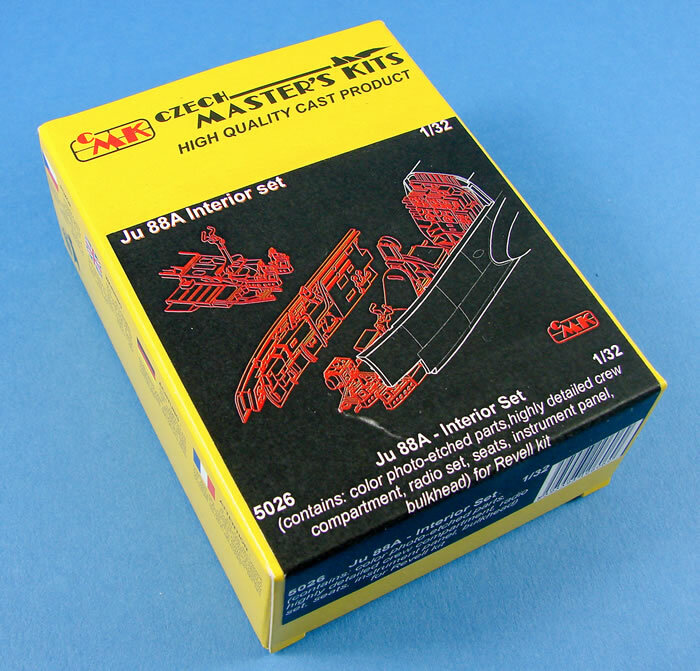 Recommendation: This really is an excellent upgrade set to Revell’s Ju 88A-1, but it’s one that requires a little forward planning as you progress through construction, with plenty of dry-fitting before you commit to any glue. This year marks a full decade since Revell released their spectacular Ju 88A-1 kit, marking what many thought at the time to be a landmark achievement for a mainstream plastic model manufacturer. I pretty much have to agree with them too. 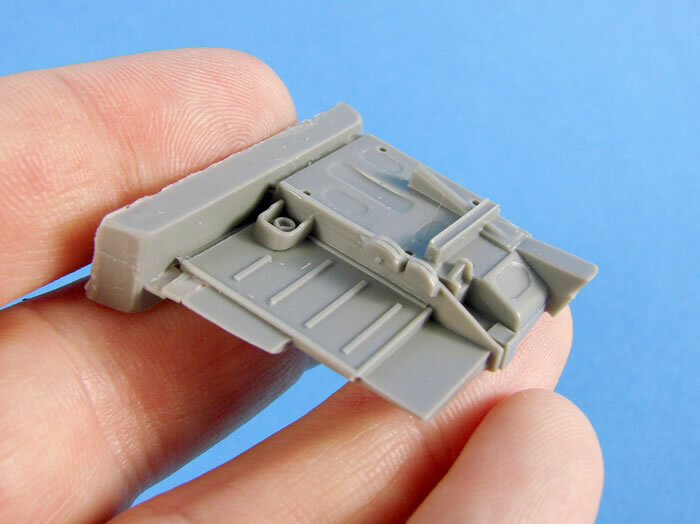 Whilst the model didn’t have detailed engines, it did have everything else, including a superbly detailed cockpit. The kit was based on the reconstruction/restoration of a Ju 88A-1 at Gardermoen museum in Norway, and they had the museums best guy on the job, Guttorm Fjeldstad. 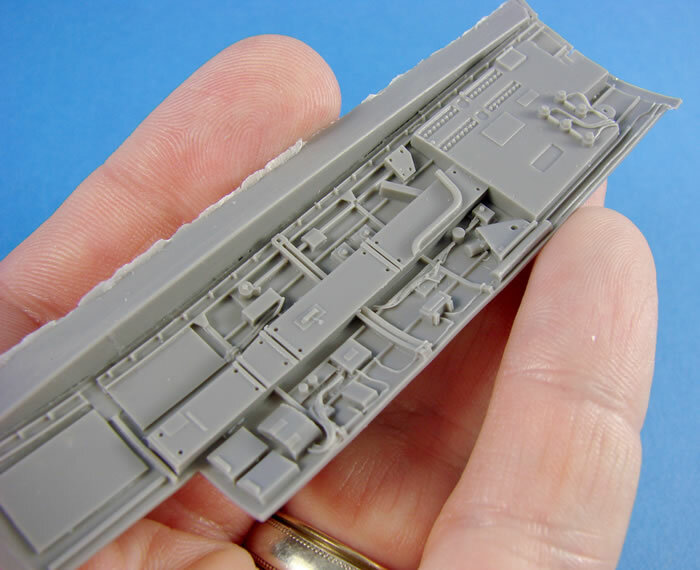 Having said that, injection plastic moulding does have its limitations, but Revell pushed it to the max with their kit. 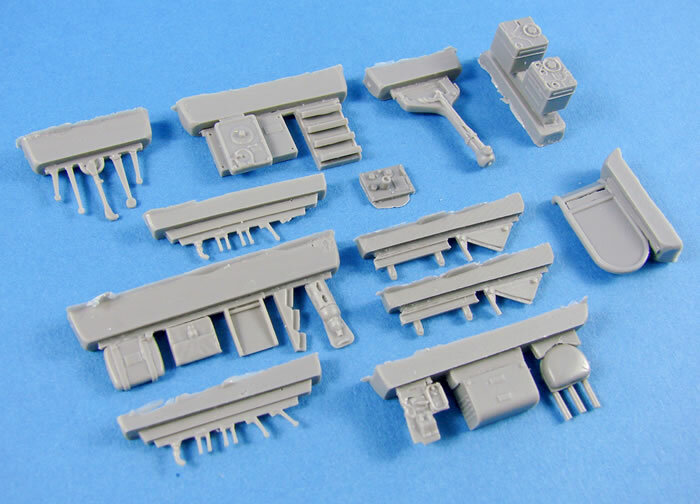 If you want to take your own Ju 88A-1 kit to the next level, with a super-pimped out interior, then there really is no better an upgrade than that offered by CMK. CMK’s ‘Interior set’ is a little ambiguously named as it provides just the cockpit detail and nothing else, but the cockpit is of course what you bought it for! It also comes in a rather small and pretty heavy box that is crammed full of resin components. 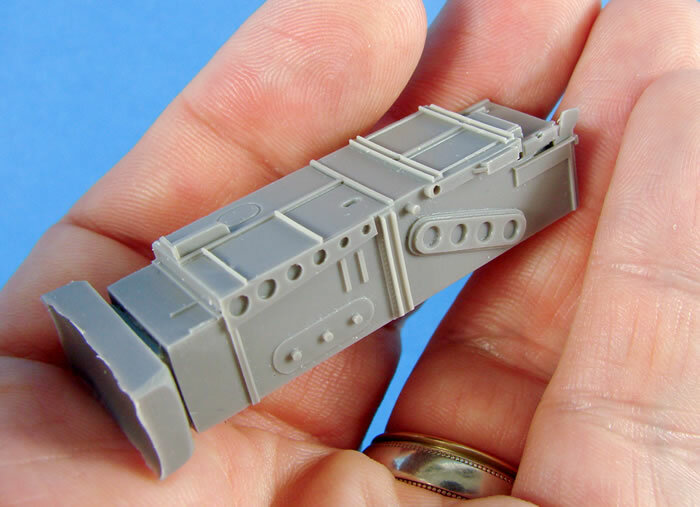 The box itself is the same size as that of the simpler Ju 88C conversion I looked at very recently and could probably have benefitted from something slightly larger. A label with a line drawing graphic gives away the contents of this set. Opening the top flap, we are presented with two zip-lock bags of medium-grey resin components, a folded instruction sheet and another wallet with a colour-printed PE fret, protected by a cardboard stiffener. 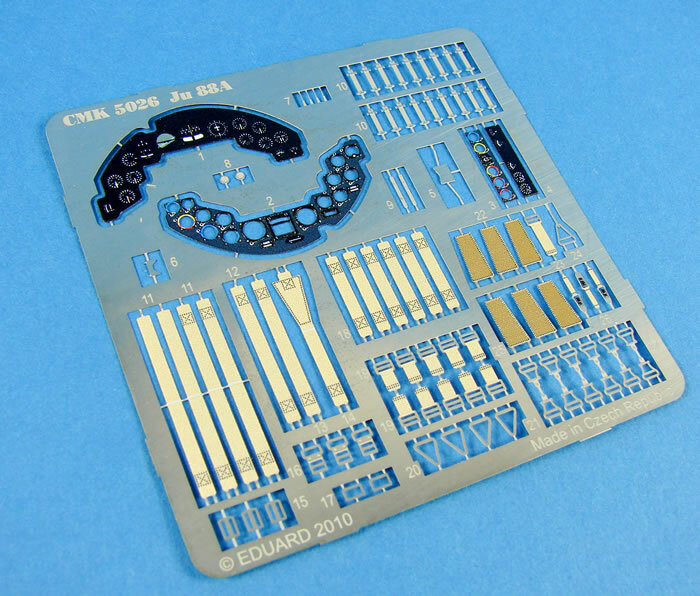 The first zip-lock wallet contains the larger components in this set. Most obvious here are the sidewalls. 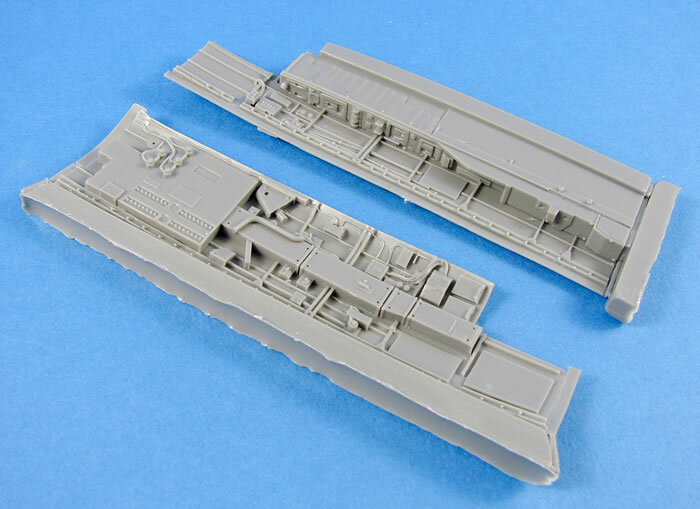 I first have to say that there is very little that will be used from Revell’s kit as this is almost an entire replacement. 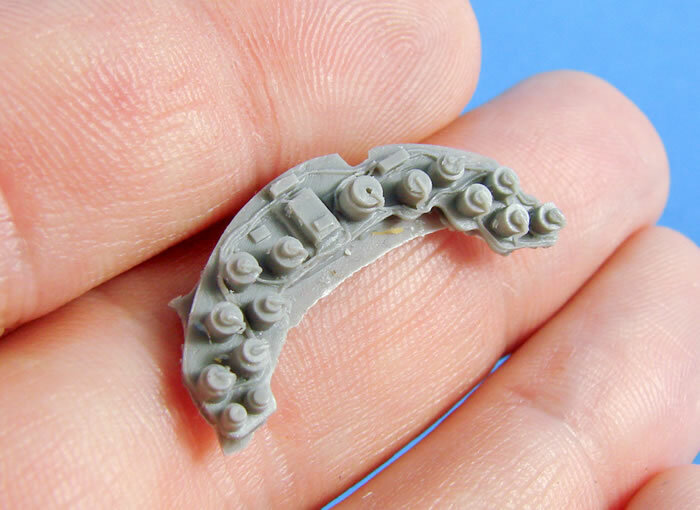 If you thought Revell’s parts looked good, then these will astound you. 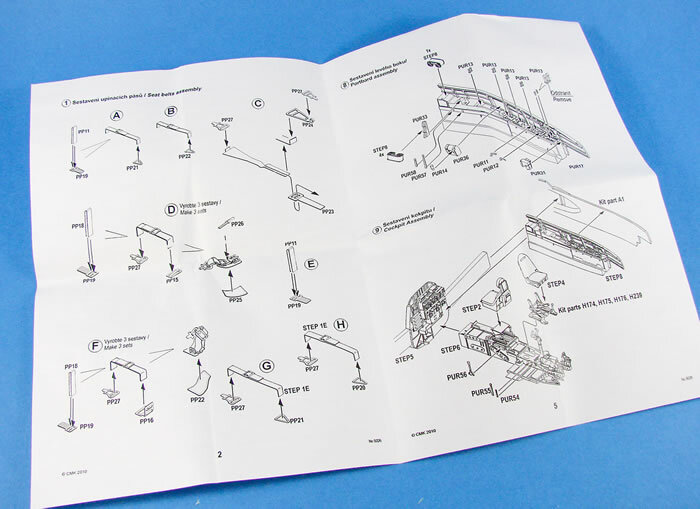 Everything is reproduced here, including the various wiring looms and numerous items missed by Revell, such as the electrical terminations detail on the switch and fuse panel. These parts have a large casting block that runs the entire length of the underside of the sidewalls, but there is a thinner web between this and the part. I will also add, at this point, that these walls will fit straight into the fuselage without any thinning. This set does require some surgery in places, but nothing too intense. The rest of this bag includes the three crew seats with armour and cushion details, a two-part cockpit floor, three blocks of ammunition saddles and a block containing radio sets for the rear wall. Casting blocks should again be pretty straightforward to remove with a narrower portion of waste material holding the part to the block. You will need a razor saw though as the connecting points are still relatively chunky. 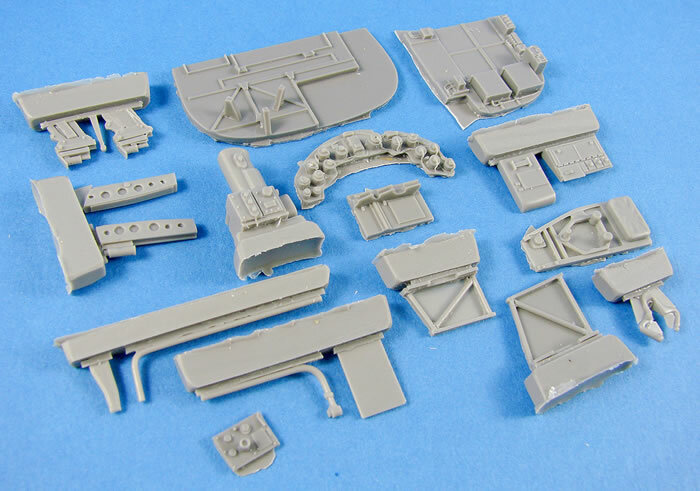 Our second bag of resin parts contains mostly smaller and detail parts, such as conduits, seat brackets, bomb sight mount and the bombsight itself, electrical panels, rudder pedals and pedal stanchions, map pockets, ammo brackets, levers, control column with wiring detail, fold down seat, fire extinguisher, etc. Unlike the CMK Ju 88 instrument panel, this panel’s rear details are moulded with integral wiring, and it does indeed look good and saves us the work of doing this ourselves. There really will be enough to do without that on top! Also seen are parts for the radio wall, split into two sections. More wiring looms for those radio sets and also mounting brackets for the ammo saddles. 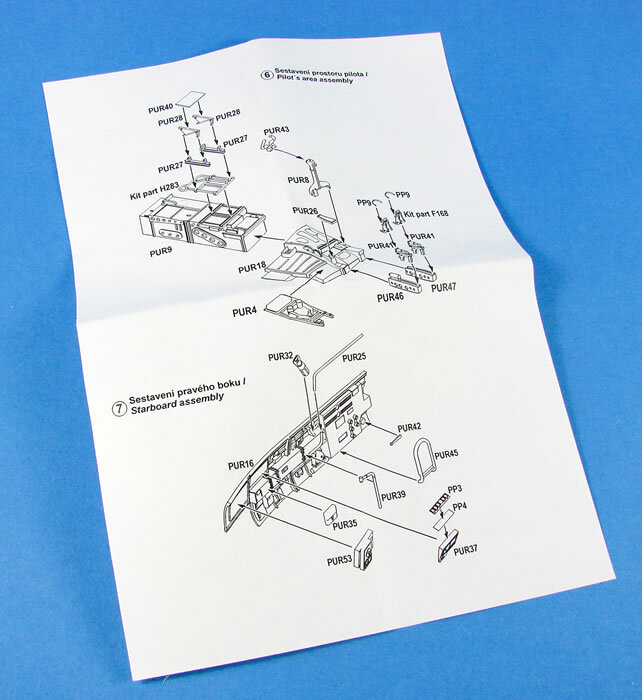 A single, colour-printed PE fret includes a multi-layer instrument panel and other instrument units, a full set of crew seatbelts, and the leather straps for the ammunition saddles. Production is by Eduard, and as you’d imagine, the quality is first-rate. I know that some people don’t like pixilation in the colour printing, and that’s valid, but here it’s not really distinguishable. I’m more than happy to use these parts. If there is one slight issue with this kit, it’s the instructions. Whilst they are very good at explaining how things fit together, in some areas they aren’t great at showing where those assemblies fit, and you will need to do some Googling to fathom some areas. As you’ll doubtless do this anyway in order to reference your painting, then this should be no more than a minor inconvenience. The Ju 88A-1 cockpit is well-represented in online image searches. Instructions are printed both sides on a single A4 and A5 sheet. 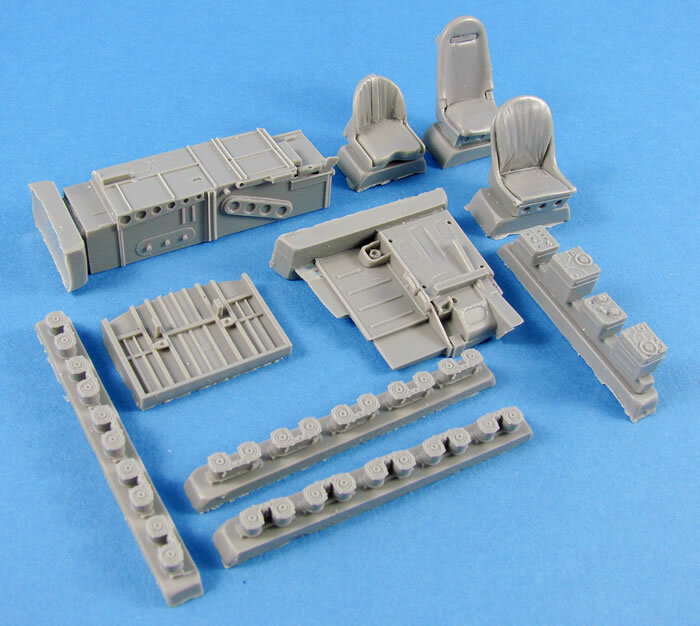 This really is an excellent upgrade set to Revell’s Ju 88A-1, but it’s one that requires a little forward planning as you progress through construction, with plenty of dry-fitting before you commit to any glue. As the cockpit is almost entirely sheathed in resin, this is hardly surprising, but the result will be spectacular. 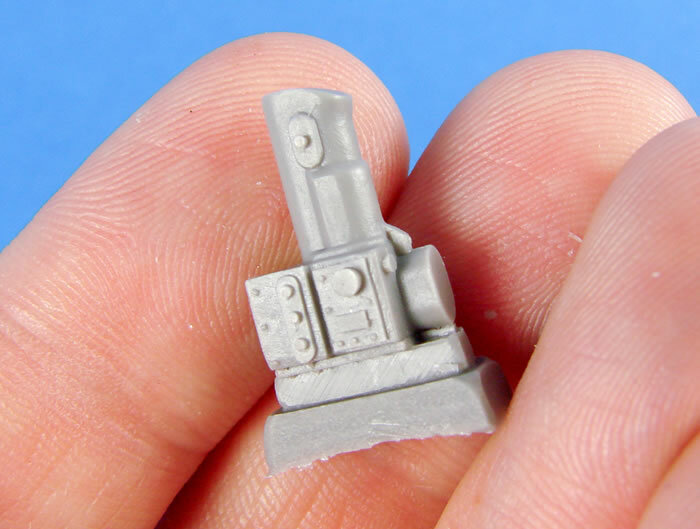 In a day where prices are constantly rising and some of the products in our hobby have outrageous prices, this is a very reasonably-prices set for the quantity and quality of resin that you get, and the enjoyment of installing it all. I love it!